The honor 5X (Amazon) is one of the most anticipated smartphones to come out of CES 2016. It offers a 5.5″ full HD display, and a second-generation rim-free fingerprint reader, powered by a Qualcomm octa-core processor underneath its metal alloy body at less than US$220. The honor 5X (Amazon) comes in 3 colour options, with the Grey and Silver options priced at ~$209 (RM 899), while the Gold model retails at ~$219 (RM 939). However, all three models have the same features and performance. 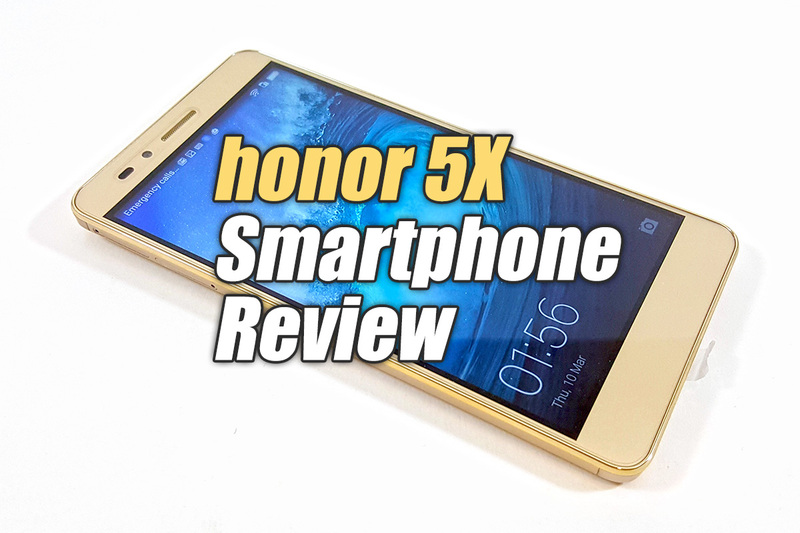 We are very fortunate to get our hands on one, and we present to you – our review of the honor 5X smartphone. Let’s get on with it! Updated @ 2016-04-15 : Added a new Available Memory & Storage section. The honor 5X (Amazon) comes in a hard aqua-coloured cardboard box, with a security seal on each side. In this video, you will witness our unboxing process and check out each component inside the honor 5X box. Take a look!